This will be a pretty short post (because there hasn’t been much sewing lately). 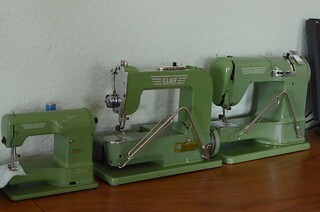 Since Easter the sewing machines have been resting until this week. Some ongoing health issues combined with change of jobs and our son moving interstate for uni have been swallowing up all my energy. 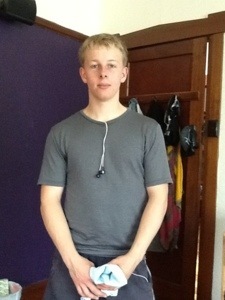 Over Easter I was lucky to be a tester for Mari of Disparate Disciplines Avocado Hoodie for my son. It turned out really well – initially he was a little doubtful as he hasn’t been one to wear hoodies, but he put it on and didn’t really take it off for several days. I used a light grey merino/nylon unbrushed fleecy from the Fabric Store bargain bin. Over the Easter break his girlfriend also selected some merino to make the female version which is still in the planning stages, well at least I’ve printed the pattern. 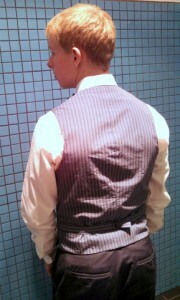 Looking for a photo of the hoodie I also found a waistcoat I made him in a hurry when he had a cocktail party to go to. Since then I’ve been focussing on knitting socks as that is a small craft activity for me that can easily be picked up and put down. It was enough to tickle my itch to be creative. A month or so ago I cut out two Tiramisus from Cake Patterns. And the pieces patiently waited for my energy levels to rise enough to contemplate sewing. The deadline of Frocktails as organised by the wonderful Kat and an increase in energy levels brought about a clearing of the sewing area and the sewing of two Tiras this week – one slinky black knit, and another in grey ponte. I lengthened the sleeves for the black one so they are slightly below the elbow. When sewing and trying them on it really emphasised the difference that fabric makes – both are great, just different to each other. Sewing these was a little like eating comfort food – I’d already dealt with needed pattern alterations and understood the construction process. I really like being able to make two at once – the colour was close enough to use black thread for both and the fabric and sleeve options makes them a bit different. Comfort sewing? Like comfort eating without the calories. And then I cut out another dress for Frocktails which is a little more ‘frocky’… the black Tira would be fine but the sewing bug has bitten me. For the first half of this year I have a very casual plan to make something from one of my pattern magazines each month. It doesn’t matter which magazine, whether it is new or old. In the middle of last year I signed up for a subscription to both Patrones and Manequim and around the same time discovered that a newsagent in town was selling Burdas. Combined with a few adhoc purchases when in Melbourne and online my pile of sewing pattern magazines was expanding, but other than a coat, a skirt and a couple of baby outfits for the tiniest niece they hadn’t seen much action. To decide if I still want to subscribe I figured I’d challenge myself for six months to make something from a magazine each month. My January make is these outfits for the tiniest niece and Ginger. I’d already done some garment and underwear sewing for myself this month and the start of the work year has been a bit busy, so I figured playing with something small and cute would be a good tonic for my mood. From Burda 7/2012 there is a whole spread of cute little nautical styled outfits. I used a striped blue vintage cotton I found at the same time as Muriel, my Elna Lotus SP. 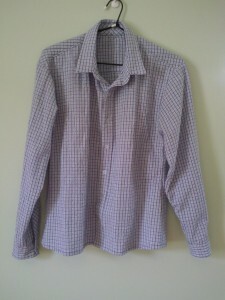 For the white I used some soft shirting cotton with a woven stripe. It was a pretty easy make apart from the underlay on the collar which isn’t as elegant on the inside as I would like on the dress version. Second time around I figured out a slightly better arrangement, and would refine further if I make another in the future. If anyone is interested I can write it it up. Suggestions also welcome. There seem to be a lot of pregnant friends and work colleagues at the moment, which is giving me a lot of great excuses to sew. On Monday a work friend told me she is pregnant and it was great to wrap a couple of bibs from the stockpile I made before Christmas. I can see this being a go-to pattern now I’ve made it twice. The second outfit will have to wait for its reveal after it is gifted Gifting done before I published this post. This piece of fabric has been lurking in the cupboard since 2011 on my first visit to Melbourne’s Tessuti. I fell in love with the bold design and imagined a simple but striking dress. But when I considered sewing patterns for it, they were all too fussy or uber-shapeless.This fabric had it’s name “Copenhagen” in the selvedge – another plus for me as I loved the city both times I visited and it reminded me of bold Danish design. This year a goal is to use more of my ‘special’ fabric and enjoy wearing it. While I was pondering it, I decided to define where and when I would wear it – definitely a weekend or casual dress, somewhere I would like to be dressed well. Pigeonhole Cafe is where we start our Saturdays (and many other days if truth be told). And this is the perfect dress for the mood and place in my mind. Hey, people make dresses for one off events, I made one for every week. 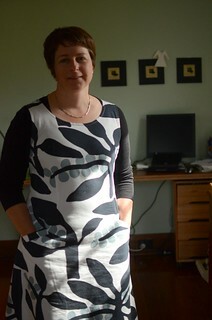 Shortened shoulder length by 15mm as I wanted it as a sleeveless dress – ideal for wearing with a merino LS top in winter. Added some seam detail to the back – initially to make the most of my fabric, but essential for shaping more in this stiff fabric. I took out a curved horizontal wedge (3cm at widest point) about 5cm above my waist. I think this would be needed by people who normally do a swayback adjustment dur to the ties sitting below the waist making the fabric bunch weirdly. Drew a freehand curve just under the notch at the top of the side seam on front and back, swooping out to the centre back. I think it was still above the waist marking on the pattern, but you can see how it curves down when worn, giving a nice jagged hem. I used just under the full width of the fabric. Added two single-welt pockets. I placed these on the pattern by holding it up to me and marking with a texta. We won’t talk about how I unpicked one several times before I got it right. Sewed in ‘Alma order’ except I didn’t need a side zip, and sewed the ties into the side seam. Bias binding on the neckline and armholes. The sides of the dress are stitched together rather than being fully separate like some options I saw online. I was so happy with my as yet unblogged Green Tiramisu dress that I made another one over the Christmas Break. In the middle of the year I found some great striped jersey at Spotlight, and bought a metre or so of each of four variations to encourage them to stock more nice knits. Which meant I didn’t have enough for a stripy Tira until I thought to combine two of the same colour way. So from two and a half metres I made a 3/4 sleeve Renfrew and a slightly shorter than designed Tiramisu. Matching up the stripes became a lot easier once I called some 5mm wide fusible webbing into action to stick the edges together and then overlock/serge. During and after the first make I tweaked the pattern a bit – reduced bodice length, narrowed the midriff. 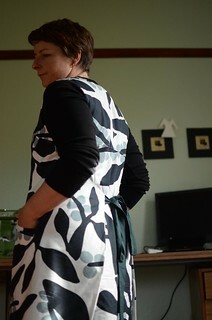 For this make I also made it a bit shorter – above the knee to fit it on the fabric I had available. The less drape fabric makes it stand away from the body more in the skirt than my other drape version. Both work well, so I have a long sleeved grey or blue merino version in my sights for winter. The only change I would make next time with a striped version would be to make sure the stripes inside the pocket are going in the same direction as the outer fabric – straight down the side seam. If you are stabilising the seam allowances here anyhow you don’t need to worry about stretching. Seriously an easy to make, and even easier to wear dress. 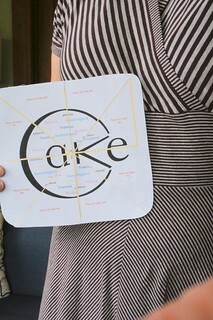 If you don’t already have this pattern head to http://sewingcake.com and make an investment! StephC has done a great job. Definitely re-make-able. My green Tiramisu was my go-to Christmas dress – comfortable, fab colour and too easy to wear. The fabric came from TJ in a surprise parcel in the One Cool Thing, One Strange Thing swap. I like to think of this as my sewing blogger dress. I’ve since made Tira#2 using two sorts of stripes. More Photos to come once I get them both clean and ironed at the same time. A highlight of October’s trip to Melbourne was meeting up with TJ in person at Latrobe Uni when I was there for work. 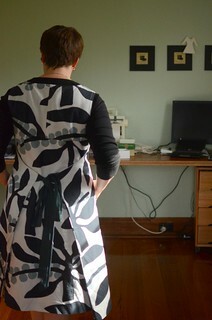 Some great tips from her about Darn Cheap Fabrics led to another super useful dress – the black and white dots for NL6097 which my husband said was ‘a bit airline hostess’, little does he know this is a specific, valid genre in the sewing blogosphere. See Scruffy Badger’s NL6000 Frock Fest for evidence. 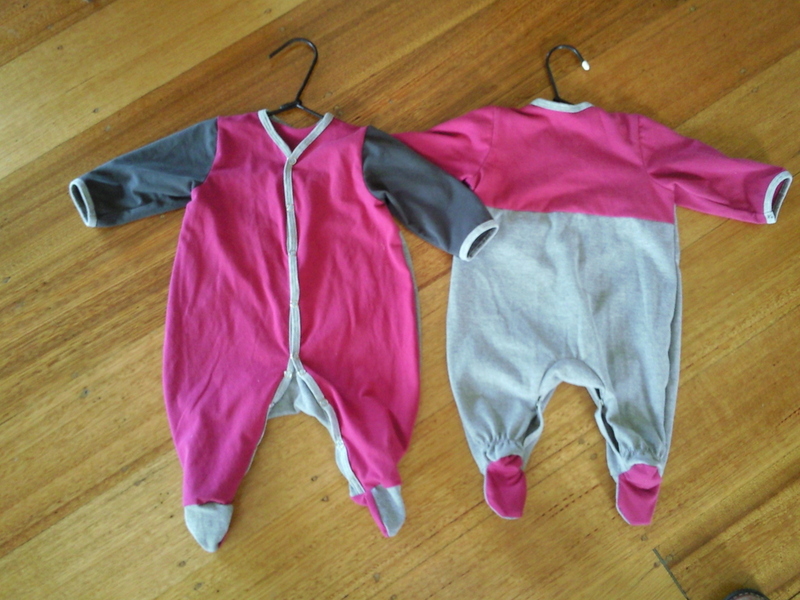 On Christmas Eve I rustled up some ickle bodysuits for the tiniest niece. I used both Lumi Inkodye printing, and some fabric-specific Sharpies for a bird and an elephant on some simple white cotton. Maybe one day I will learn to take a photo before gifting things. Connecting with fabulous sewing bloggers and making some super useful, comfortable, fun and Kirsty-like clothing. And some sewing for my favourite people too – husband, son and tiniest niece all got a look in. And starting my collection of vintage Elnas. I need to do a separate update post on that front thanks to a birthday surprise. These would have to be Renfrews (merino versions saved my life during winter in the iceblock they call our work building), Cambies (for work, I’ve swiped SewSquirrel’s moniker of “Corporate Cambie” for my grey A-line version; my elephant version takes itself less seriously), Almas (a simple solution to work tops in late Spring), Thurlows (only one pair so far but Dressember distracted me, I’m wearing them today, Hello? no muslin needed! ), Crescent skirts are weekend staples. Minoru Jacket – If only it would rain then I could wear it more. Seriously, I had been holding off on buying the latest Cordova Jacket and Hollyburn skirt patterns but have just placed my order. It’s silly to resist. I made a dress in the week before Christmas and it’s too meh to wear. It’s the wrong combo of neckline, lack of waist definition, wrong fabric choice and was annoying to make. So it will go off to the charity bin and perhaps find a home that appreciates it more. The pattern will go in the giveaway pile methinks. I’ve thought about some sewing goals, and I’m not quite ready to commit to anything major, other than a freeze on fabric buying for January and then I will reassess. 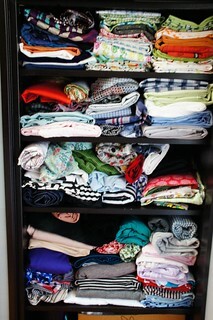 Notions, thread etc are OK to get a project finished. I have a wee pile of various linings already, but probably not enough zips. The Almas reminded me that I used to wear belts a lot. And that I feel far more dressed when I do wear one. So 2013 will be the Year of the Belt. I’d like to make a leather one or two, some more self fabric ones. That’s enough of a goal. Life got in the way. It probably wasn’t wise to attempt KCWC when I knew there was a side of pork arriving mid-week, and the rest of life still to be dealt with. Anyhoo, I finally have four of those garments done. First Up in the Four Finished Objects: 2 bodysuits for the tiniest niece who is now 3 months old. I did check these would still fit. All I had to do was add the press-snaps. I bought some snap pliers and boy they make a difference. Next time I will make the binding strip wider as the snaps are a bit too wide and bite into the body fabric making a weak point. These were made out of assorted recycled tshirt cast offs from family members. And garments 3 and 4 were for my son. A couple of shirts. Perfect now the weather is warming up???? Only loosely based now on the Colette Negroni shirt, shoulders widened, arms shortened and narrowed especially from biceps to wrists, nipped in at the waist, collar converted to stand+collar. I’m particularly pleased with the buttons and buttonholes. I’ve reduced the width of the buttonholes, making for a more polished finish. 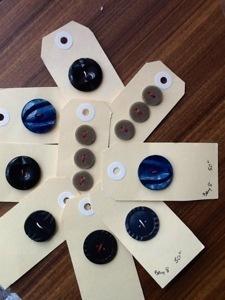 Also buying a button-sewing-on-foot was a revelation. It is like magic. My little trick is to use the wash-a-way wonder tape to stick the buttons in place while you sew. Why didn’t anyone tell me? Finally some awesome use of plaid/check (which is it?) on the back shoulder yoke. I’m glad these garments are no longer part of my to-do list. My sewing knee (the right one) has been playing up which has limited my sewing, but when I sent myself home from work on Tuesday I got to indulge in some surrogate sewing. In the hallway were some pieces of fabric out from the stash – my son had been through the cupboard and found some fabrics he wanted to make into gym wear. The grey merino was from the Fabric Store earlier in the year – purchased by my mother for Zac on a trip to Melbourne with the plan to make a long sleeved tshirt. 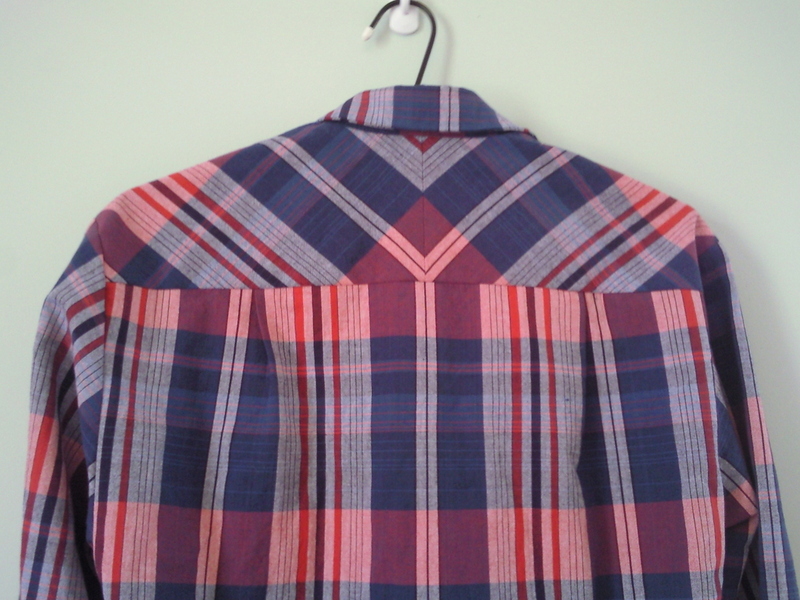 Some had already been used as lining in a bush walking vest. Zac asked if there was a pattern with instructions he could use. 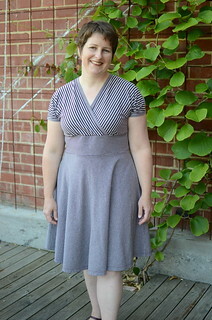 I recommended the Sewaholic Renfrew pattern as they are so clear and straight forward. Then Zac found the tshirt pattern we’d drafted for him earlier in the year, I adjusted it for a now-broader chest and he cut it out, sewed it up and wore it to the gym on Wednesday morning. He used the overlocker for most construction steps, the regular sewing machine for some reinforcement on underarm and shoulder seams, and the cover stitch machine for hemming sleeves and body. I’m totally impressed with the quality of output – and pleased to have passed on some sewing skills and confidence to the next generation. 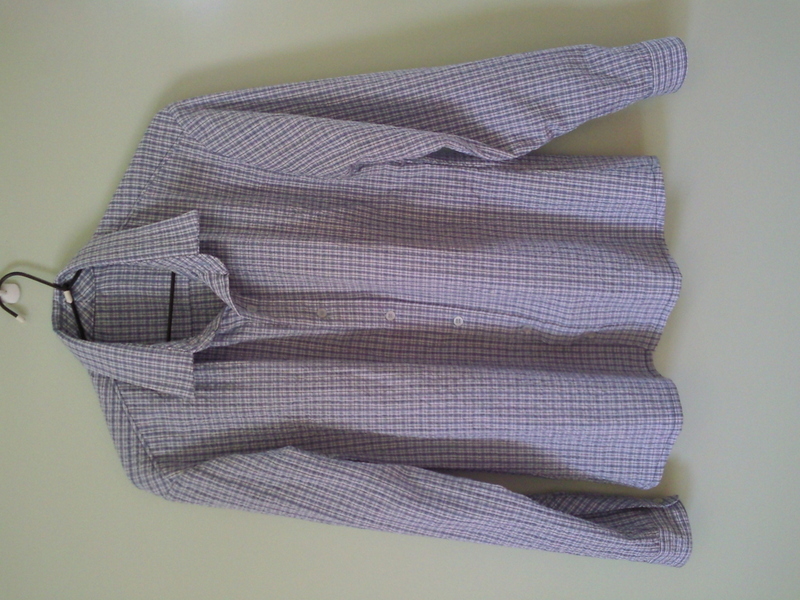 And it passed the gym-wearing test ( photo taken just before), and it is now waiting to be washed. PS : The photo quality is rubbish thanks to this photographer lying in bed and using her iPad to take it. Next up he wants to make himself some shorts. This weekend we spent some time with my husband’s grandmother Phyllis in suburban Melbourne after a week of work in the city. Today we went up to Healesville to visit Tarrawarra Museum of Art and on the way stopped in Yarraglen to have lunch. Amongst the antiques and secondhand stores I found some lovely buttons and pored over some vintage lace. While I was looking, Phyllis kept insisting she had some buttons in a cupboard as well. I carefully chose a few carded buttons that I could see myself using. 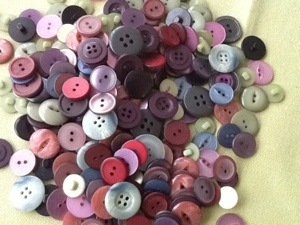 When we got back at the end of the day I dived through the two shoeboxes full of more modern buttons. I’ve chosen some to bring home and left the rest for someone else to use. They were unsold stock from my husband’s uncle and aunt’s secondhand store. And the last part of playing with sewing stuff (rather than, you know, actually sewing), was dragging an old Singer out from under a dressing table. This was previously Nan’s sister’s machine which she used for years. When her Aunty Kath passed away, my husband’s mother insisted it be kept and it has been waiting for someone to bring it back to Tasmania. It is NOT light enough to be carry on luggage. All we knew previously was that it was a Singer in a curved wooden case. 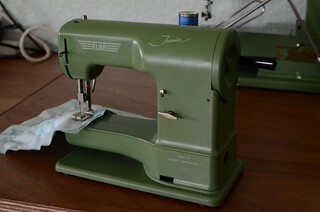 It turns out to be what Google images suggests is a 201k, and it still sews. The power plug is very cracked so we did not plug it in, but turned the hand wheel by hand, as you do. It needs a new power cord and plug, and a new spool pin. And a very good clean and oil. The Singer got tucked back under the dressing table to wait for someone to bring their car over on the ferry. I might have also bought some fabric – knits from The Fabric Store’s knit sale and some suiting from Darn Cheap Fabric to make the black work jacket I seem to be missing from my wardrobe. 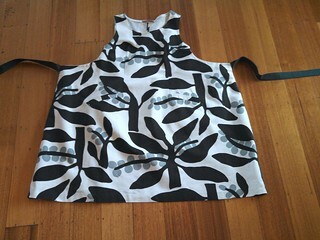 Well, while I haven’t been blogging, I’ve certainly been sewing. Before the end of August I completed two coats – one for me, and another for my husband. Hobart weather is flaky through springtime so they are still getting worn. Back in March 2012 we visited Melbourne and as part of our swimming pool length of fabric bought several coat candidates. I wanted to practice coat techniques before diving into Robin’s more complex construction so I made this coat for me using Sherry’s wonderful RTW jacket tutorials. I’ve still been wearing it over the past fortnight thanks to our ‘lovely’ spring weather. The alterations to the pattern were about decreasing both bodice and sleeve length and the collar height. I feel well dressed when I put this on, I didn’t have a nice coat last winter and I really missed it. I can see myself wearing this for years to come. Robin’s coat was more complex due to the thicker, wool/poly blend flannel fabric (and the standards I set myself). It is from a Japanese Pattern book – A Book Of Men’s Coats by Ryuichiro Shimazaki, and apart from some extra width across the upper back and shorter sleeves, the pattern needed very little tweaking to suit.nI added a calico back stay, hair canvas pad stitched to the collar and front facings and shoulder pads and sleeve heads to the pattern to give the coat the structure the design and fabric needed. Each coat got the same lining a stretch poly satin with lovely drape and slip. I’d ended up with leftovers from my coat. A trip to Spotlight didn’t reveal anything better (Robin dug through the copious piles of poly satin and other lining candidates), so we bought enough to cut lining for Robin’s coat too. Buttons were sourced at Jimmy’s Buttons on the same day as the Melbourne Sewist’s meet up after LotsofButtons were out of stock of the one’s we’d selected. Buttonholes were done using my vintage Singer buttonholer with a keyhole shape template using topstitching thread. I did a sample buttonhole on a scrap and took that to Melbourne with me to make sure they would fit. 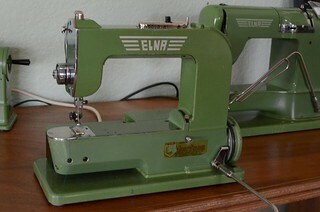 Top stitching was done on SuperNellie, my Elna Supermatic machine. It was lovely to have a second machine set up just for top stitching, no rethreading for just a moment’s work. Also her narrow presser foot, adjustable presser foot pressure, and narrow feed dogs made precision easier. It’s been so satisfying to have tackled this project and I’m happy with the finish I achieved on them both. 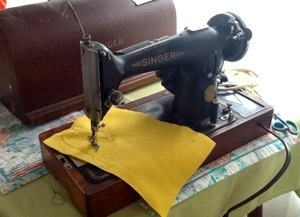 SuperNellie opened my eyes to the beauty and simplicity of vintage sewing machines. I fell in love with her clean lines, solid metal mechanical insides and growly tractor sound. I’ve oiled and cleaned her many times, and replaced a rubber friction wheel so she now purrs along cheerfully (the TV volume no longer needs to be cranked right up when she is running). She has been kitted out with some more decorative pattern cams and extra feet. 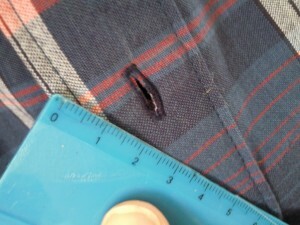 She topstitched through thick woollen coating, and makes beautiful buttonholes. Of course when we brought SuperNellie home and googled vintage Elnas, we quickly learnt about the Grasshopper, her predecessor. I don’t know why, but there seem to be a bucketload of Elnas in New Zealand. So I signed up for a TradeMe account and kept my eye out. My Aunt Wendy and Cousin Celia live in Auckland, so when a Grasshopper came up local to them, and was looking like it would go for a reasonable price, I pounced! Much better value than the one listed repeatedly on Ebay Au for $700 that apparently doesn’t have a bobbin. After a journey across the Tasman sea (and the reverse journey for some KokoBlack Chocolate), Grasshopper took up residence on the workbench. She is only a straight stitch machine; it is beautifully even. I had to replace the drive belt and liberally apply oil in the 17 places indicated in the manual. A rub over with a damp microfibre cloth cleaned off what little grime there was on the exterior. These two machines are both low shank, meaning their feet are interchangeable with my modern Elna. The different width of feed dogs does make a difference though, so the narrowest feet don’t work so well on the modern machine with its wide feed dog area. I purchased a box of vintage attachments, and have been putting them to good use. I’ll cover them in more detail in other post, as I’ve had a great deal of delight in making my sewing life easier with well thought out tools. Based on the criteria of “green Elnas” the search continued, albeit at a slightly slower pace for the remaining part of the collection, an Elna Junior. TradeMe came up trumps again, this time from around Wellington from a seller willing to ship internationally. Junior, the toy machine Elna made during the fifties. Isn’t she too cute??? No rust except on the old needle which I quickly replaced. Some oil has worked it’s wonders on freeing up movement, and she sews a chain stitch – meaning you don’t need a bobbin underneath. This is a hand cranked machine – the handle on the side moves the needle up and down. There’s also a music box built in which plays the Blue Danube waltz. Tiniest niece Isabelle will be encouraged to learn to sew on Elna Junior, as it will be very tricky for her to sew her fingers to fabric thanks to the shape of the presser foot. The instruction book includes instructions for regular straight seams, and, get this, flat felled seams, quilting and draft it yourself doll clothes. Expectations of young girls in the fifties were very high! All this playing with old machines also got me cleaning and oiling my modern machines more often. They are happier now too.